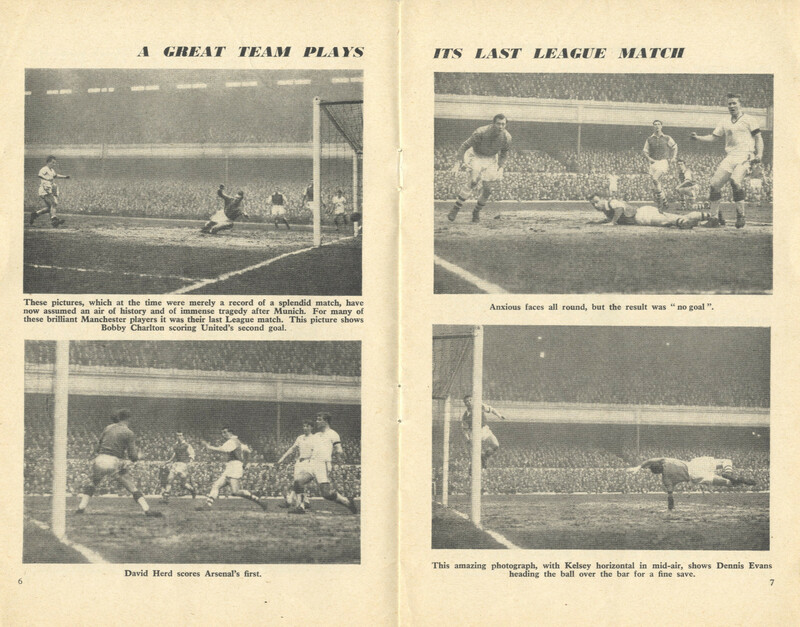 On 1 February 1958, Arsenal hosted reigning league champions Manchester United at Highbury. 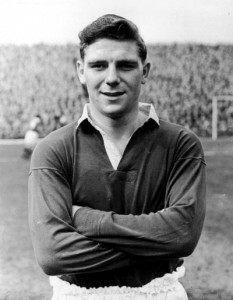 A massive crowd of 63,578 turned up to see the Busby Babes. They saw what has been described as “the greatest game ever seen” by those who were there. The thrilling game finished 5-4 in favour of the visitors. However, it would be the last time this talented young team were seen in England. Six days later, the football world was left in shock as the Manchester United team was decimated when the plane bringing them home from Yugoslavia failed to take off at Munich airport and crashed. 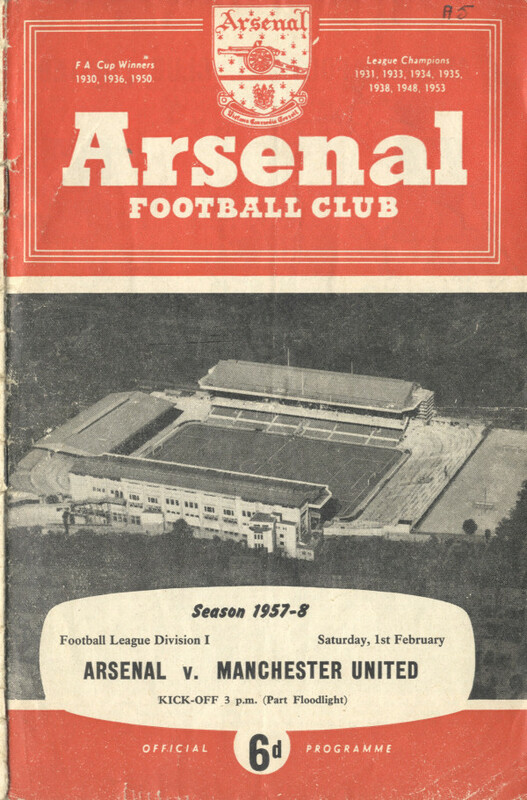 In this blog we have included a copy of the programme and match reports for that game at Highbury, along with the tributes and match action from following Arsenal programmes. Although not particularly rare, the programme for the Arsenal v Manchester United game is very collectable. You can download a copy of the whole programme by clicking on the programme cover below. Match reports from the Sunday Times on 2 February, and The Times and Daily Express are shown below. 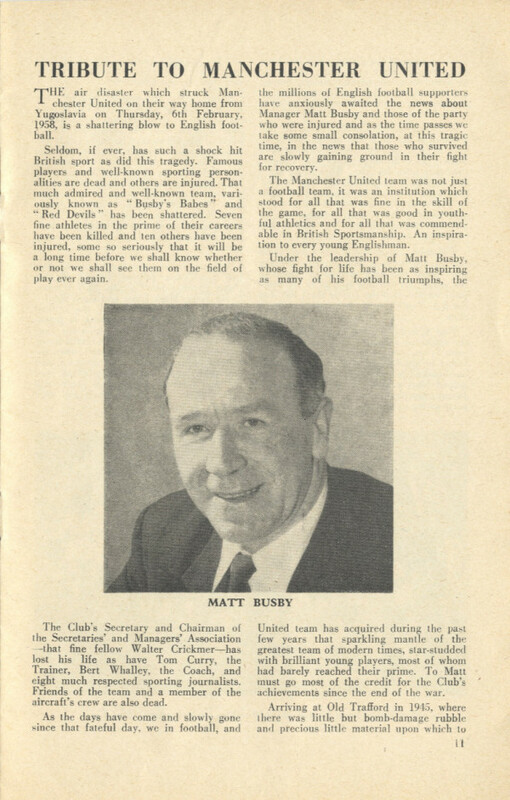 Note that the “43 years young” Stanley Matthews gets a birthday mention! The following Saturday Arsenal’s first team were away but the following appeared in the programme for the reserves game against Southend. The next home game for the first team was against Bolton on 18 February. A two page tribute to the Manchester United team was included. 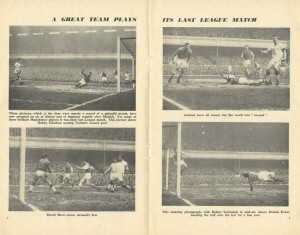 There was also the usual feature of match action photographs. Click on the picture to enlarge them. 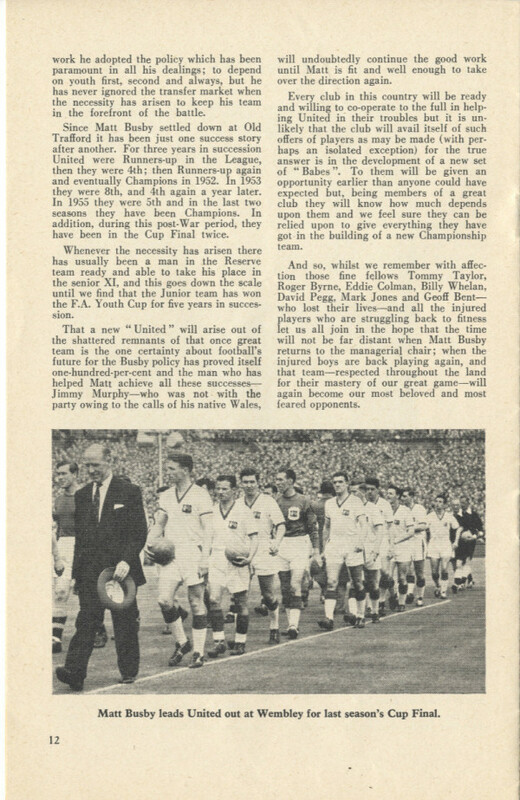 Thank you so much Andy for posting this wonderful record of the Munich Air disaster and particularly for making the reports of the time available. 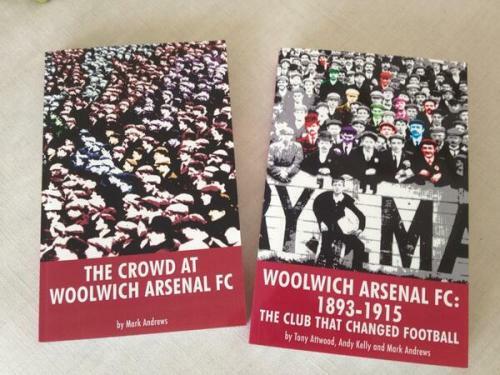 It gives a very poignant synopsis of those times while at the same time revealing not only the stature of Matt Busby`s team but also an example why our club was called “The Arsenal”. 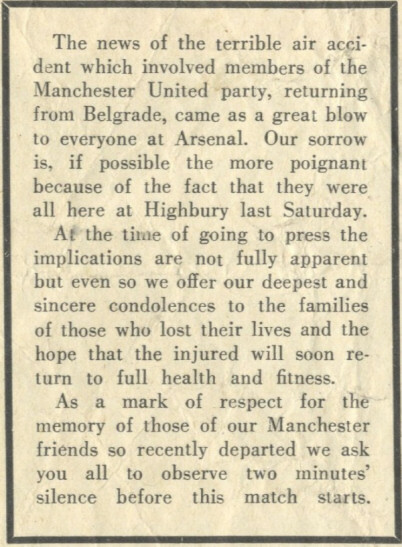 Whilst we were far from our best at the time, the programme of the first match after the disaster was an example of how not only to express the sympathy of the club but also professional tribute to Manchester United. I am sure it was appreciated at the time.